As part of the SAIL MED effort in Europe for sailing cargo, Culture Change and Sail Transport Network have teamed up with Turn21.org. Please visit Turn21's website today to get up to speed on developments, announcements, and articles. Turn21 and its growing group of active networkers is calling on regular action every 21st of every month as part of a worldwide effort to wake folks up to the reality of our transition that we are in -- and keep them awake! It is simple: aware citizens must all "turn twenty-one" to be full members of the species in the 21st century. One way to reach receptive people is to collaborate with like-minded groups that have a significant base of public support. So Turn 21 has done journalistic, brief, summary reports on these organizations: Culture Change/Sail Transport Network, Community Solutions, Sustainable North Bay, Greenmountain College, Permaculture Skills Center, Transition United States, Daily Acts, Resilience.org, and The Land Institute. Turn21 educates well across platforms. 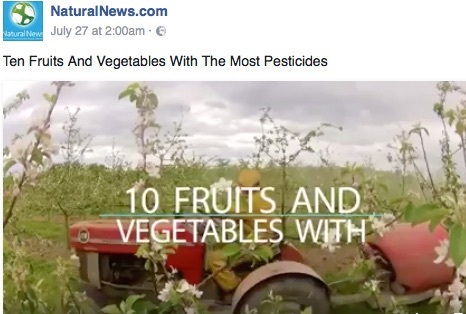 An example is this posted video on Turn21's Facebook page: Ten Fruits And Vegetables With The Most Pesticides -- click on that link to play it. 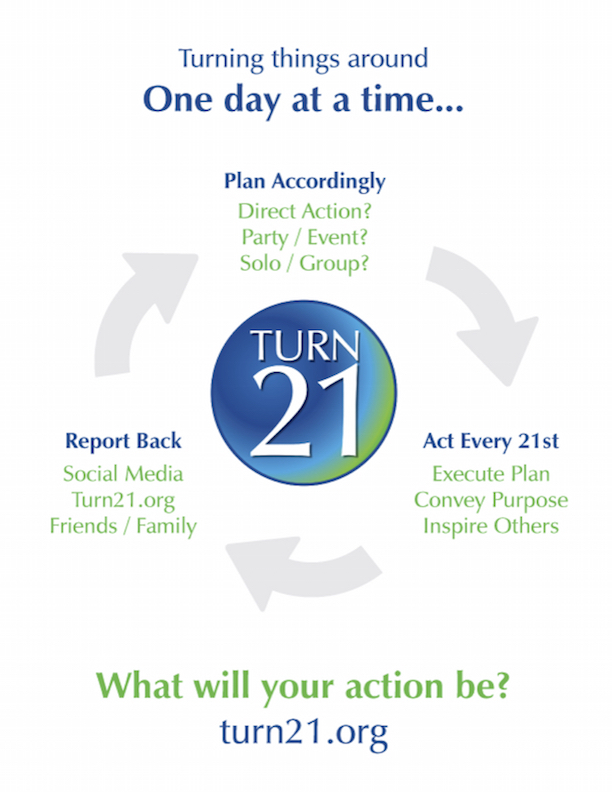 I recommend that you sign up for the newsletter, like Turn21 on Facebook, share the concept, and take action! See the Facebook pages for Turn21 and Friends Who Like Turn21. Congrats On Turn 21, Congrats, Jan et al. Let's do it. Congrats, Jan et al. Let's do it. Permaea will be connecting with you and/or vice-versa very soon. Because that's how it looks like it's going to work. Let's create a decentralized country.